Farleigh Damson £17.50 - Damsons and Gages Apple Trees and Fruit Trees For Sale. Buy at competitive prices with wholesale discounts. 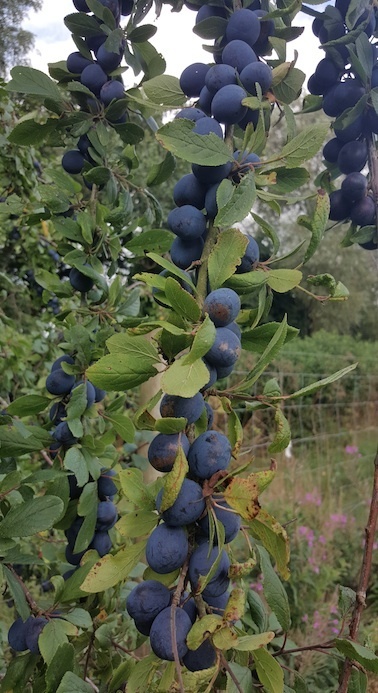 An abundant and heavy cropping damson, it has a rich flavour and can be enjoyed straight from the tree or used in cooking and wine making. <br> <br> It has good natural disease resistance and makes a bushy tree with lots of fruit. A good tree for growing in colder and damper parts for the country. An abundant and heavy cropping damson, it has a rich flavour and can be enjoyed straight from the tree or used in cooking and wine making. It has good natural disease resistance and makes a bushy tree with lots of fruit. A good tree for growing in colder and damper parts for the country.